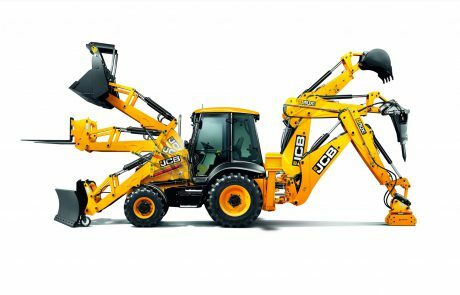 The JCB 3CX-17 Super is the world’s number one backhoe loader (along with the JCB 4CX). The 3CX-17 Super is a product of JCB’s efficient design philosophy, responding to today’s fluctuating fuel prices and environmental concerns with class-leading efficiency and low running costs. In short, we’ve applied innovative technologies to squeeze the absolute maximum out of every drop of fuel on the JCB 3CX17 Super. The result? In typical roading, loading, excavating and idle cycles, the 3CX-17 Super JCB backhoe loader, equipped with a powerful 109hp (81kW) EcoMAX engine, delivers an average fuel saving of up to 16%, plus lower emissions and noise levels. And, with extended periods between fill ups, you benefit from a longer, more productive working day. 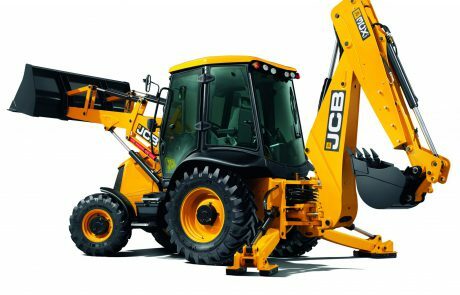 But the efficiency (and other) benefits certainly don’t end there on a JCB 3CX-17 Super. The JCB 3CX-17 Super is designed to enable fatigue-free, productive day-long working. The cab is rubber-mounted and isolated for low noise and vibration. A JCB 3CX-17 Super cab is inspired by the automotive industry for familiarity. A heated air suspension seat, heated front screen, and a hot beverage machine are just some of the quality features you can find within. Ergonomic seat-mounted excavator-style controls – with optional excavator-style backhoe and loader servo controls – provide fingertip control, great comfort and excellent maneuverability. For more comfort and less material spillage, the 3CX-17 Super’s Smoothride System (SRS) minimizes bounce during travel. You can quickly reset your shovel to the digging position with our return-to-dig feature too. High back-off brakes reduce viscous drag during roading and re-handling, which improves economy by up to 1%. The optional handheld tool circuit means you can increase versatility by using your 3CX-17 Super as a power source for handheld tools, such as drills, breakers, cutters and even water pumps. JCB 3CX backhoe loaders are quiet places to work, both inside and out – particularly the 109hp (81kW) models, which are the quietest in the industry. Controls on the 3CX-17 Super feature an LCD panel detailing machine hours, service information fuel level and system warnings. A 360° view through tinted windows aids comfort, productivity and safety. Our innovative scoop design one-piece rear windscreen allows JCB 3CX-17 Super operators to see right into the trench when excavating. A new high output variable flow pump reduces the JCB 3CX-17 Super’s cycle times, saves fuel and, on manual backhoes, lighter lever effort makes control easier. There’s more tractive effort at the pile than ever, thanks to a new variable flow pump power management and the new JCB EcoMAX engine. The 3CX-17 Super’s 4-ram self-leveling loader automatically adjusts the shovel on both the raise and lower cycle without any need for manual adjustment. It also provides unhindered front shovel visibility, especially when loading at height. The optional combined hammer and bi-directional circuit provides optimized low-flow and high-flow hydraulic power with low back pressure for great attachment versatility. JCB’s new hydraulic quickhitch makes attachment changing on the 3CX-17 Super quick, safe and compliant with current and future legislation. EcoDig is a standard-fit three-pump hydraulic system that provides high hydraulic flow and pressure at low engine speeds for improved fuel economy, reduced carbon emissions, lower engine wear, and extended refueling intervals. The 3CX-17 Super’s new EcoMAX engine is designed, tested and built by JCB to work perfectly with JCB axles and gearboxes. T4 Final compliant EcoMAX produces power and torque at around 1500 rpm for responsiveness and fuel-efficient matching of the transmission and hydraulics. Because the JCB EcoMAX doesn’t use exhaust after-treatment, it doesn’t need costly heat-resistant lube oils, saving servicing costs. And, because EcoMAX can be adapted to run on lower-grade fuels, Backhoes are resalable across different territories, which boost residuals. JCB 3CX engines are tried and tested. We’ve built 200,000 DIESELMAX engines since 2004, and we’ve tested the JCB EcoMAX for 110,000 hours in 70 different machines across the toughest applications and environments. For ultimate loading performance, productivity and roading efficiency, the JCB 3CX-17 Super’s EcoMAX engine delivers as much as 109hp (81kW) and 381lbf (516Nm) of torque. JCB’s unique TorqueLock system is standard-fit on all 109hp (81kW) powershift 3CX-17 Super models. Combined with our optional 6-speed Autoshift transmission, it can help save up to 25% on fuel and 10% on road travel time. Limited slip differential gives a JCB 3CX-17 Super superior traction and performance, as well as reduced tire wear. The 3CX-17 Super JCB backhoe loader is fitted with EcoRoad technology to provide the highest efficiency and productivity levels when roading. Fuel consumption is reduced, while machine speed and working area are increased by up to 10%. JCB 3CX-17 Super Eco axles and transmission are designed to withstand a 12,000-hour design life; heavyweight axles are built to withstand serious shock loads. The rear axle alone has a static load rating of 55,125lb (25,011kg), and a dynamic load rating of 27,562lb (12502kg). We use stress-relieved fabrication for the 3CX-17 Super’s boom – by heating materials to over 650˚C for over 16 hours, we make sure the metal is evenly heated, doubling boom life. The 3CX-17 Super’s pre-production testing regime included 100,000 loading cycles, 500,000 excavating cycles, 360,000 gear change cycles, extensive bump track testing to ensure structural integrity, and thousands of hours of endurance testing. We also carried out extensive EMC (Electromagnetic Compatibility) testing on the 3CX-17 Super; this ensures that signals from mobile phones and radios don’t affect the machine in any way. Every new JCB 3CX-17 Super is put through around 600 performance checks on the production line. Our construction materials are tested to the limit by exposing them to extreme temperatures, chemicals, salt, oil and light. That way, we know they’ll survive the most hostile conditions. For rigidity and hose protection, the loader arms are constructed with a u pressed plate welded to a flat closing plate giving maximum strength. The robot welded single-piece chassis on the 3CX-17 Super maximizes strength and minimizes weight. Hydraulic hoses are approved to work down to -4°F and all JCB 3CX-17 Super materials are tested to extreme temperatures and exposed to chemical, salt, oil and sunlight to ensure maximum protection. An upgraded engine and fuel filter prevents engine wear and extends our EcoMAX engine’s working life. Daily under hood checks are a thing of the past with the JCB 3CX-17 Super – all engine checks are done automatically by the CANBUS electronics engine management system. No DPF for easier servicing. For an even more efficient backhoe experience, JCB’s new multi-functional instrument control panel can provide the 3CX-17 Super’s current and average fuel consumption, as well as service faults and critical faults. The plastic fuel tank on a JCB 3CX-17 Super is completely rustproof to prevent rust forming in the tank, which protects the fuel injection system. The single-piece composite cab floor is also rustproof, with molded water channels. 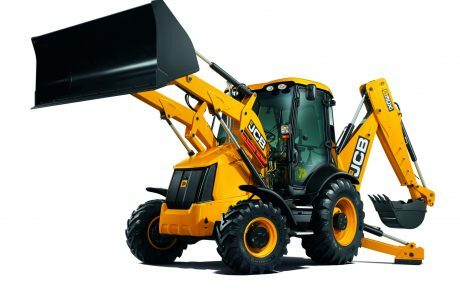 Getting into a JCB 3CX-17 Super is easy and safe – there are large grab handles, a wide door opening, and open grid design steps that prevent dirt build-up. Power brakes allow efficient, safe stopping power with low pedal effort.